BeltingOnline is one of the UK's fastest growing independent power transmission distributors, offering our customer the very best prices for choosing to shop online. We have access to over £4 million worth of stock available for a next day delivery direct from our suppliers to the customer’s door. In addition to this we have facilities to source other power transmission products from stockists worldwide. BeltingOnline's mission seeks to bridge this gap within the market, providing customers with the facilities online with which they can search, stipulate, price and purchase products to their own specific requirements with ease and convenience and without the need to spend valuable time attempting to communicate their needs to Sales Teams. It's entirely online nature allows for the same high quality products to be delivered at a fraction of the cost. At BeltingOnline we realise that our customers trust us to protect their personal information. We take that task seriously. We maintain physical, electronic and procedural safeguards to protect your personal information. We use Sagepay to take our payments and do not hold any of your card details after your transaction has been processed. We never display your full credit card number once it has been entered. We will only reveal the last four digits of your credit card for verification purposes. Sagepay has achieved the highest level of compliance under the Payment Card Industry Data Security Standard (PCI). They adhere to the most stringent levels of fraud screening, ensuring that all customers’ details remain secure throughout the transaction process. We also urge you to protect your own privacy. We recommend that you do not share your password with anyone or share your password in an unsolicited phone call or e-mail. Please note that you transmit all information at your own risk. When you place an order we will estimate dispatch and delivery dates for you based on the availability of your items and the delivery options you choose. If items are directly from stock then they will be dispatched the same day if ordered before 4pm GMT. 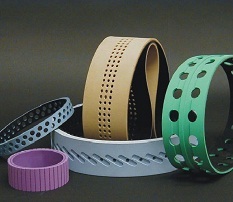 If the Item you have ordered incurs a lead-time to manufacture, such as Brecoflex belts, we will inform you of the expected delivery date, via email, within 24hrs of receipt of order. The price you see, is the price you pay, plus VAT. This is for items that have additional options or variables. Rather than make you wait for a price, we have created a simple selection process so that you can tell us what you require. Simply select the options you require and press "Calculate the price"... it really is as simple as that!